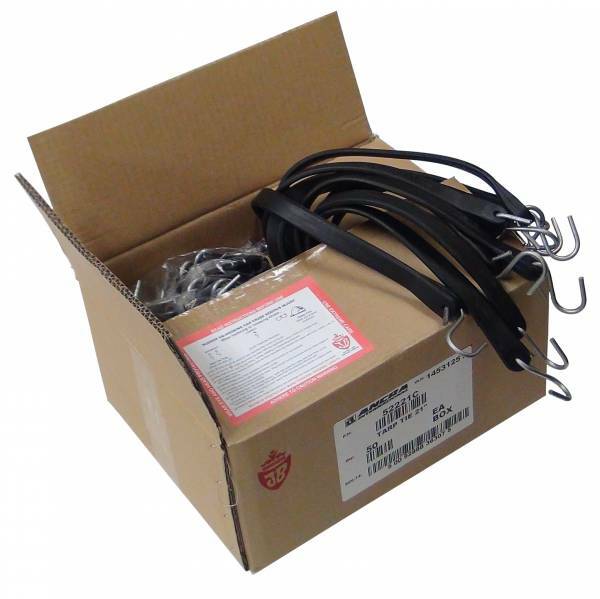 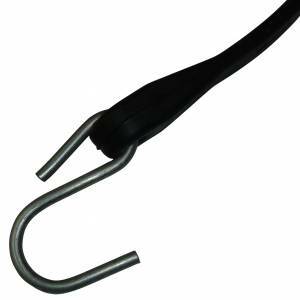 Tarp tie stretch range: 30" - 40"
Ancra's tarp strap part # 52221C is a heavy-duty natural rubber bungee cord. It includes an S-hook on each end that is crimped in places to eliminate the possibility if it pulling out. 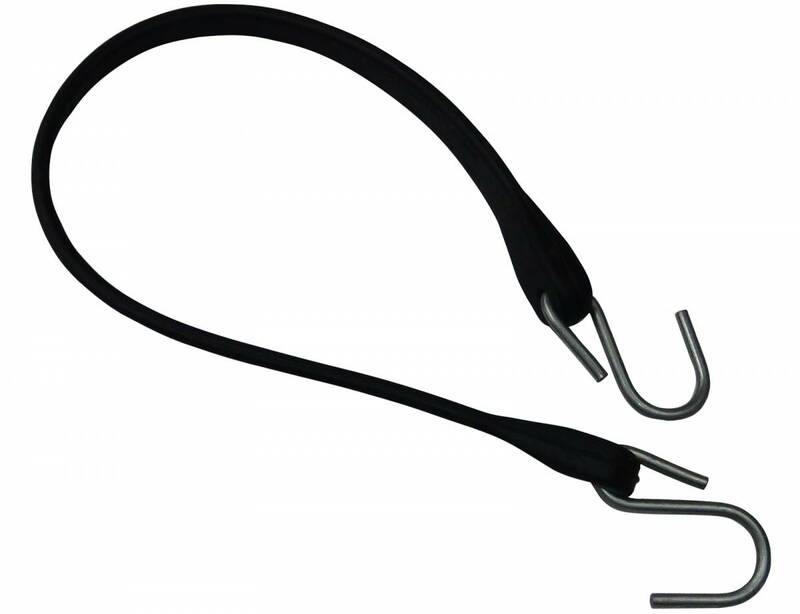 Ancra bungee cords have excellent flexibility as well as resistance to UV rays. They are sold in boxes that include five bundles of ten tarp straps for a total of fifty bungee cords.